The Florida Keys History of Diving Museum is dedicated to collecting, preserving, displaying and interpreting artifacts, antiques, books, documents, photographs and oral history relative to the History of Diving. We tell the international story of manâ€™s attempts to explore, understand and venture under the sea. We also celebrate the special role that South Florida and the Florida Keys played in this untold story. How old must be my children be to enjoy the Florida Keys History of Diving Museum? Fun Stops are scattered throughout the Museum for kids to engage in interactive play and to experience hands-on some of these Wonderful Diving Machines! There is no age limit, but the Fun Stops are designed for children between 5 and 13 years old. I am a person with disabilities. Is your museum accessible to me? Yes, the museum is on a single level; there are no stairs or obstacles in the pathway. You are more than welcome to visit us. How far is the museum from Miami? The History of Diving Museum is halfway between Miami Airport and Key West - about 80 miles from each location. We are on the â€œBay Sideâ€ of US-1 at Mile Marker 83 in the heart of Islamorada. 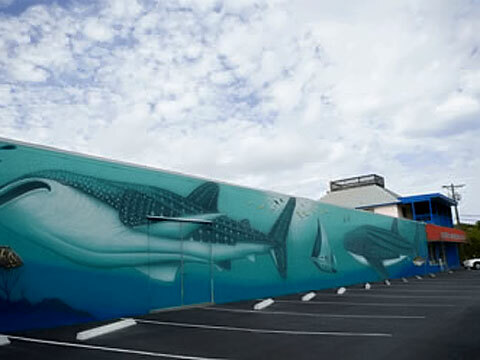 To find us look for the building with the large undersea mural on the right side of the highway, as you travel south.. I am a historian, I am doing some research about diving history and I am looking for information. Can you help me? Yes, the Florida Keys History of Diving Museum will offer a research library with hundreds of antique books and documents. Call us to arrange an appointment before coming. I can't drive. Is there an easy access to the museum? Yes, the museum is located close to a Greyhound Bus stop. From there you can walk or take a taxi.